Mega Sale! Save 24% on the MiniPro 3.1 USB-C 2TB Portable Solid State Drive SSD by Oyen Digital at Learning Delphi. Hurry! Limited time offer. Offer valid only while supplies last. The MiniPro™ USB 3.1 USB-C is a high-performance Solid State Drive (SSD) built with synchronous NAND flash for optimum performance and reliability. The MiniPro™ USB 3.1 USB-C is a high-performance Solid State Drive (SSD) built with synchronous NAND flash for optimum performance and reliability. No moving parts inside the SSD allows for ultra-silent operation — excellent for quiet environments. The stylish design features a compact aluminum body engineered to provide maximum protection and effective heat dissipation. 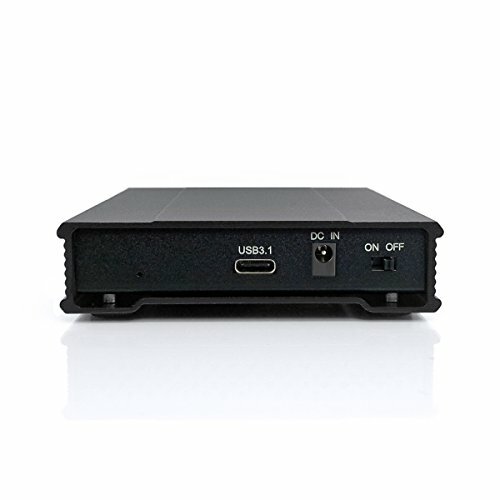 The MiniPro 3.1 is compatible with USB 3.1 & Thunderbolt 3 and is capable of speeds in excess of 500 MB/sec. The drive is powered using the included USB-C cable or an optional external power adapter (not included). The MiniPro is designed and assembled in the USA and backed by an Oyen Digital 3-year warranty. Note: The MiniPro is not compatible with Thunderbolt 2 or earlier.